Think you know what's wrong with the American government? Unless it's s'mores, the GOP and Fox News probably won't agree with you. That's right — Fox News is actually livid about s'mores. Yes, the roasted marshmallow and graham cracker treat that stopped being a big deal around the same time as, oh I don't know, Lunchables (even though I admit, I sometimes still like to make my own mini pizzas). But in keeping with what is now Fox News' tradition of reporting on things that are considerably less important than the real issues, Todd Starnes, host of Fox News & Commentary, has unleashed his wrath on s'mores, because apparently, this is just the straw that broke the camel carrying the Obama administration's back. Don't get me wrong — I really, really love s'mores. In fact, just last month, I descended into a frenzied state when I discovered that s'mores were hard to come by in the bustling metropolis of New York, where campfires aren't exactly a common occurrence. I even agree with Starnes' description of s'mores as "the third sacrament in camping’s holy trinity" and "an American masterpiece." But when the US Forest Service asked on August 30, "How Does Your Marshmallow Roast?" and innocently suggested replacing the chocolate with fruit, I didn't think that the apocalypse was upon us. And I most certainly did not unleash S'moresgate. Fox News, however, definitely did. Take a graham cracker, place a section of chocolate on it, and then carefully place a freshly roasted marshmallow on top of the candy bar. 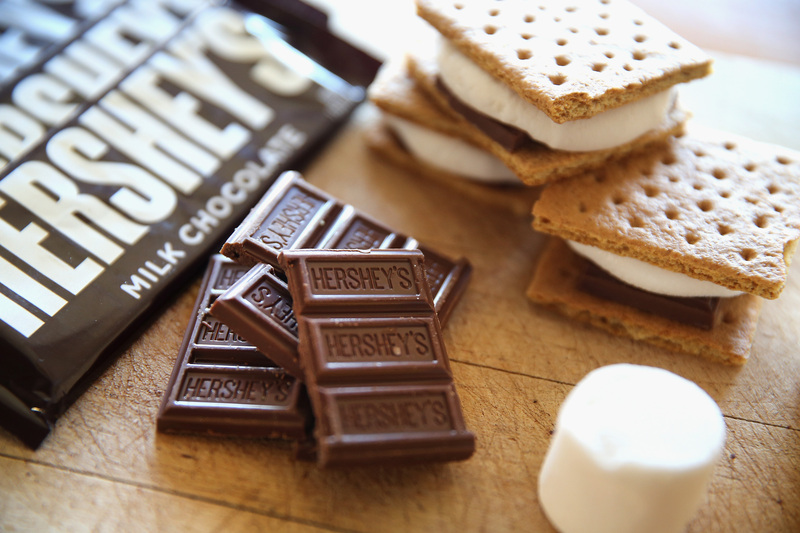 Top the marshmallow off with another graham cracker, carefully squeezing the campfire dessert sandwich together as the hot marshmallow melts the chocolate. But apparently, Fox News skipped over the entirety of the first several paragraphs of the post, and instead went straight to the bottom, or as Fox likes to call it, the jugular. The Forest Service is breaking a cardinal rule. You don’t tinker with the Big Mac’s special sauce (even though we all know it’s Thousand Island salad dressing). You don’t add a twelfth herb to the Colonel’s secret recipe. And you certainly do not take the chocolate out of a s’more. I really wish the Obama administration would stop being such killjoys. What’s next? Will the USDA recommend we roast tofu hot dogs? Will the EPA ban the baking of beans over methane gas emissions? Will OSHA mandate that campfire cooks wear fire-retardant aprons? Will U.S. Fish & Wildlife ban the hunting of snipes? I mean, honestly, as long as they're recommendations, I really don't see the harm in any of this — after all, if Starnes needs a dictionary, I'm happy to remind him that a recommendation is nothing more than a "suggestion or proposal." After all, it is recommended that we brush our teeth for at least two minutes, but your dentist will not follow you around with a stopwatch, I promise. If the Obama administration has its way future generations will be sitting around a computer generated fireplaces, roasting kumquats, and sipping shots of wheatgrass. Alright Todd Starnes, slow your roll. For the record, the US Forest Service also suggested adding peanut butter in addition to your chocolate as another tasty alternative, so calories and fun-spoiling don't exactly seem like the most pressing of their concerns. I don’t know if you caught this, but last Friday the Forest Service published an article about how to roast marshmallows...This perfectly captures what is wrong with our government. Hard-earned tax dollars supporting bureaucrats who can’t pass up an opportunity to tell us how to live our lives. Yes, this is what's wrong with American government. S'mores. Unfortunately, this isn't even the first time that Fox News and the GOP have made a mockery out of priorities. Here are just a few other instances during which Fox chose to focus on things other than the real issues. Back in July, Fox News host Gretchen Carlson gave an interview on WorldNetDaily in which she unleashed hell's fury on Festivus, claiming that it furthered anti-Christian sentiment. In the same segment, former Senator Fred Thompson compared a Festivus pole in front of a Christmas display to the Ku Klux Klan placing monuments next to a bust of Martin Luther King. It wasn't noted scholar Reza Aslan's book that Lauren Green wanted to talk about when the Fox News host interviewed the author about his new publication, Zealot. Rather, it was how on earth it was possible for a Muslim to write a book about Jesus that had Green absolutely baffled. Even after Aslan runs through his extremely impressive resume and notes that he is an academic as well as a follower of Islam, Green continues to question his motivations. Because, you see, only cats can write good books about cats. As for the rest of us, we're in over our heads. Halloween is a liberal holiday because we're teaching our children to beg for something for free. … We're teaching kids to knock on other people's doors and ask for a handout. There's just something about Fox News and holidays — they're like the ultimate Grinch.